This is a documentary film about a forgotten genius Nikola Tesla, who is considered the father of our modern technological age and one of the most mysterious and controversial scientists in history. Tesla’s A-C induction motor is widely used throughout the world in industry and household appliances. This motor started the industrial revolution at the turn of the century. Electricity today is generated, transmitted and converted to mechanical power by means of his inventions. Tesla’s greatest achievement is his polyphase alternating current system, which is today lighting the entire globe. 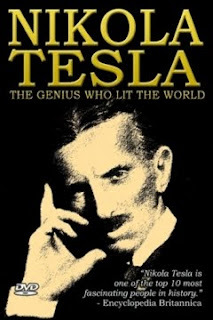 Tesla also discovered that we could tap energy from the vacuum ... Free Energy or New Energy as its known today was first proposed as a free alternative to the current energy system our world operates on, which for obvious reasons was a threat to the ones who capitalize on profits made from other non-renewable sources of energy, hence Nikola Tesla and his work was quickly shut down. Free Energy still remains suppressed by the ones in positions of power and control, however, not for long ... as the truth is out now and there are many of us waking up to the bigger picture, becoming more aware of how we are deeply connected with all ... each other, the planet ... everything !